Subscription boxes seems to be the new fad these days. There's practically one for everything you can possibly think of. My dear blogger friend, Steph, can attest to that, because she blogs about them all the time. It's rather mind blowing just how many are out there. If you want to learn more about all the possible boxes, drop her blog a visit, and you will see what I am talking about. Finally in November, during what I believe was Black Friday weekend, GLOSSYBOX had a promotion where their first box would be $12 instead. I decided to jump at the opportunity and sign up. My first box came in December, so this the second box into my subscription. 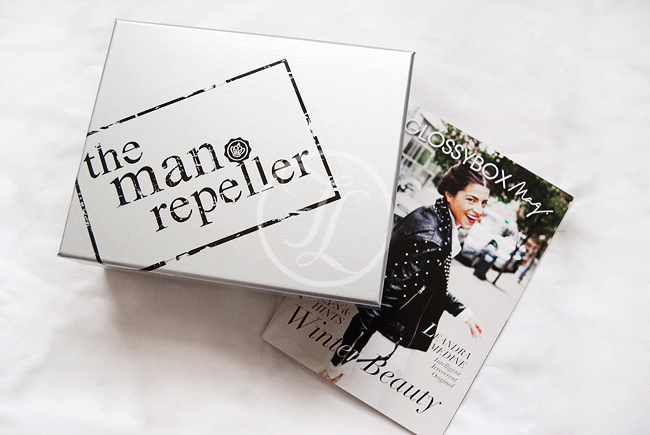 This box was a special collaboration with Leandra of the popular fashion blog: The Man Repeller. At GLOSSYBOX, they don't skimp out on the packaging. The boxes are sturdy, and you can reuse them for storage and organization. 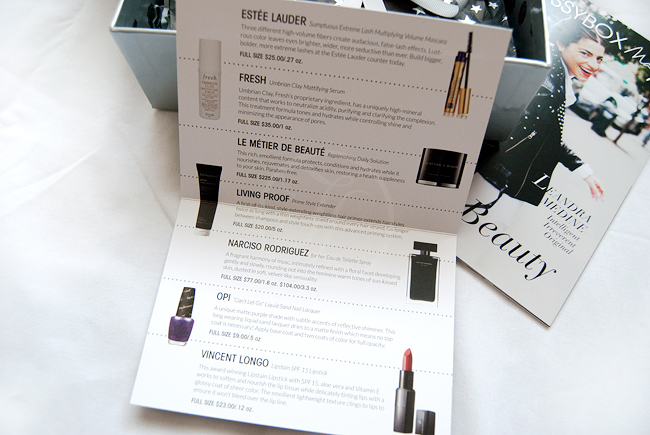 Each box seems to always come with a card listing information for each of the products you receive. Occasionally, some products you see on your card may or may not be in your box. I had this happen in my first box. This is because not all boxes receive the same products. From what I've seen in other people's boxes, there are sometimes slight variations where one or two of the things will be different. If you do some research around the time everyone gets their boxes, you can see all the possibilities. This time around I got 7 samples total. Two are full-size, three of which I consider deluxe samples, and two normal sized samples. I haven't tried every yet so I can't speak for everything yet, but I will provide some comments nevertheless. Estée Lauder Sumptuous Extreme Lash Multiplying Volume Mascara (0.1oz/2.8ml) - I have never tried their mascaras before so it will be interesting to see how this works for my sad sad lashes. Fresh Umbrian Clay Mattifying Serum (0.17oz/5ml) - I have the Umbrian Clay bar from Fresh, and I love that thing so I am very interested to see how good this is. Le Métier De Beauté Replenishing Daily Solution (0.10oz/3ml) - I've heard much about their makeup, but I haven't heard too much about their skincare. Hopefully, it's just as good. Living Proof Prime Style Extender (1 fl oz/30ml) - This is a great travel size, and I will test this out against all the other pre-styling products that I am using. Narcisco Rodriguez for her Eau de Toilette (0.03 fl oz/1ml) - The smell...is not my cup of tea, unfortunately. I think I am more of a sweet smell kind of girl. OPI Liquid Sandy Nail Lacquer in "Can't Let Go" (0.5 fl oz/15ml) - The color is gorgeous. There's so much glitter! The texture is interesting, and you're not suppose to use a top coat so it leaves a look of sand. I'm excited to see how this performs. 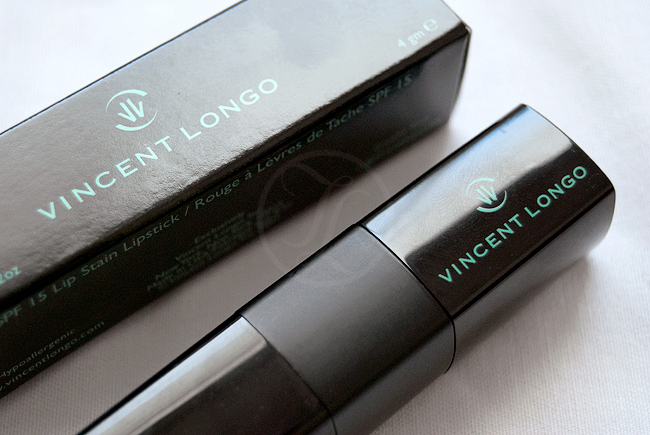 Vincent Longo Lipstain SPF 15 Lipstick in "Belle Etoile" (0.12oz/4g) - The texture is very smooth and it feels just like a balm. The color looks very intimidating in the tube but on my lips it looks more like a deep berry color. The color is not so intimidating after all is it?! 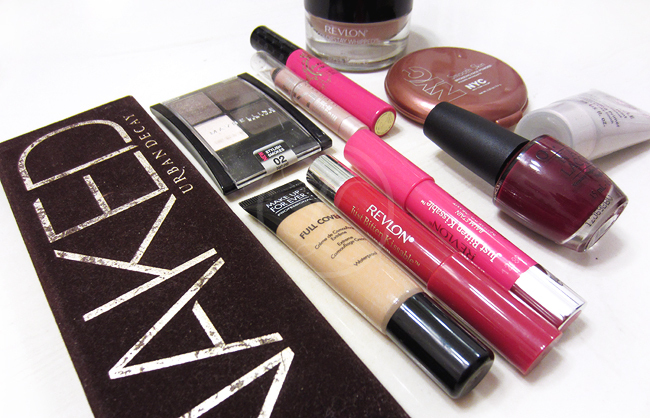 Perfect for those days where you want to give your lips a little oomph! I really enjoy the way this feels on my lips. And, I can't forget to swatch that gorgeous polish for you all. I think it would look great with or without a top coat. It's like a bottle of glitter exploded on your nails! Overall, I am pretty satisfied with this month's box. I think I will really get some good use out of most of the products. 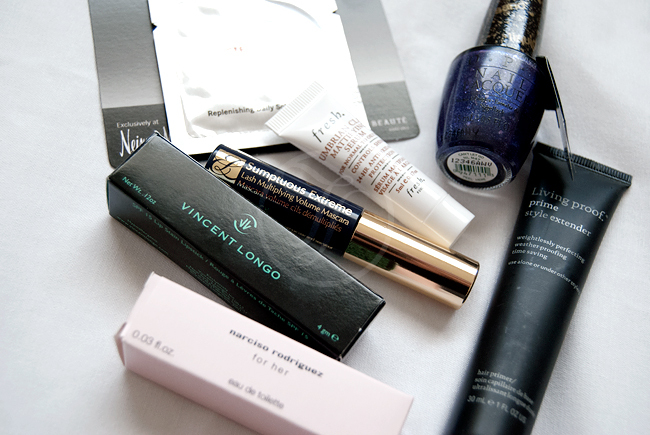 Does anyone else have a GLOSSYBOX subscription? Let me know what you guys think of this box. Every year I write an extensive post talking about my favorite products of the past year, and it's usually posted on New Year's day. However, this year I was in China, and I did not have access to blogger since it was blocked. Now it's a month into 2013. I was about to skip it all together, but it's one of my favorite posts to write, so here it is anyways. Better late than never, right? Let's start off with products that aren't recurring from my last yearly favorites. Revlon Colorstay Whipped Creme Foundation - My favorite drugstore foundation to date. It's easy to apply (I use my fingers), has great coverage, and is fairly affordable. During my two week trip in China last month, this was my go-to foundation simply because it cut down my time to get ready in half. As much as I love brushes, using my fingers is still the quickest way, and because this covers most of my imperfections, I didn't have to spend so much time putting on concealer. It also lasts a good amount of time on my oily complexion. Revlon Just Bitten Kissable Balm Stain - I have 5 of these in my collection. Does that speak enough about how much I love these? These are super long lasting, and I enjoy many of the colors that they have. I am one of those people who really never reapply my makeup during the day because I am too lazy for that. This is no different when it comes to lip products either. I just never remember. Therefore, I am all for lip products that last long and feel good on the lips. These are it! They stain my lips so I don't have to worry about reapplying, and they don't make my lips dry and flaky like many other long lasting lip products. Makeup Forever Full Cover Concealer - The name says it all. This is a full coverage concealer, and does a great job at concealing those unwanted blemish spots. When I was in China, I had massive break outs that left a lot of scarring. This was the concealer I used to cover up those scars. I squirt out a little my fingers and dab it on all the spots. I find this method provides the best coverage, because it doesn't blend out the product as much. Lise Watier Base Miracle Pore Minimizing Primer - When I'm having a girl's night out, I need my makeup lasting all night long through all the dancing and good times. This has been the primer of choice for those nights as it really makes my makeup stay on. It also does a great job of smoothing out my skin in preparation for my foundation. OPI Nail Lacquer (Got the Blues for Red) - The ox blood shade has been all the rage this past fall/winter season, and I definitely fell for the color hard. I practically owned every piece of clothing possible in the oxblood shade, and it was one of my favorite colors to wear on the nails. 9 out of 10 times I did my nails in the past 3 months, it was this color. I just love how it looks. Maybelline ExpertWear Eyeshadow Quads (02Q Stylish Smokes) - This quad is travel friendly. I find the colors easy to work with, and it has pretty much all the shades I would want for my daily makeup look. 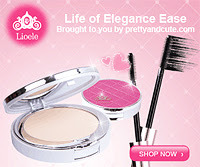 I particularly enjoy the matte brown shade, as I have found it to be the perfect outer corner color. Even when I use my Naked palette, I still use the matte brown from this quad There have been a few times that I traveled in the past year, where all I brought with me for eyeshadow was this palette. It's affordable, and an overall great product to have in any collection. Urban Decay 24/7 Shadow Pencil (Sin) - I use this to highlight the inner corners of my eyes. It really brightens them up without being too much. I find highlighters on the white side tend to be too bright, and it just makes my eyes look a little weird. 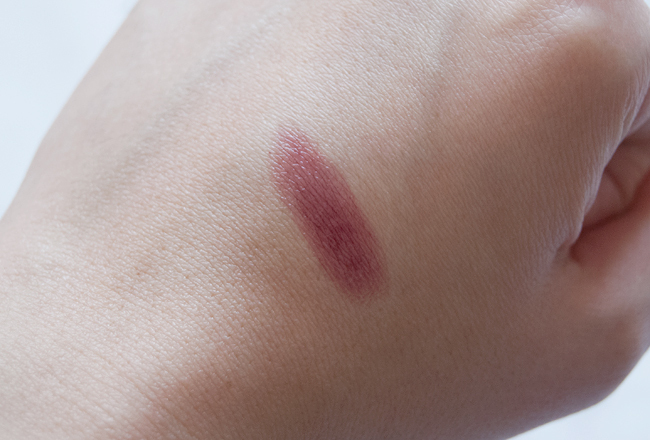 This is the perfect shade because it's a champagne color that blends nicely into the skin. Kiss Me Heroine Long & Curl Mascara - Best mascara for short straight Asian lashes! Gives great length, and makes my sad lashes actually visible. It's one of the best sellers in Asia, and I can definitely speak for that. Urban Decay Naked Palette - This will always have a place in my heart. Enough said. It's a great value. I would recommend this palette to anyone. NYC Smooth Skin Bronzing Face Powder (#720 Sunny) - This bronzer is a cult favorite. It's cheap and it works for many people. 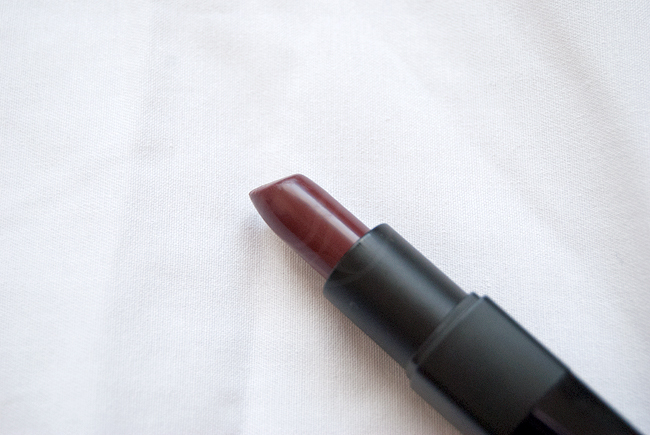 The shade is matte and easy to work with. You don't really need to worry about putting too much on because the finish is very natural. Do you share any favorites items with me? Let me know your favorite beauty items because I am always up for trying new products! For all you avid nail polish lovers, I'm sure you all heard about the Zoya promotion last month where you could get three polishes for free. All you had to do was pay for shipping. 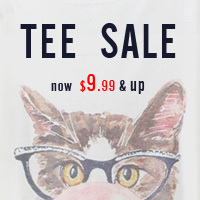 They have this promotion every now and then, and I always participate because it's such an amazing steal. 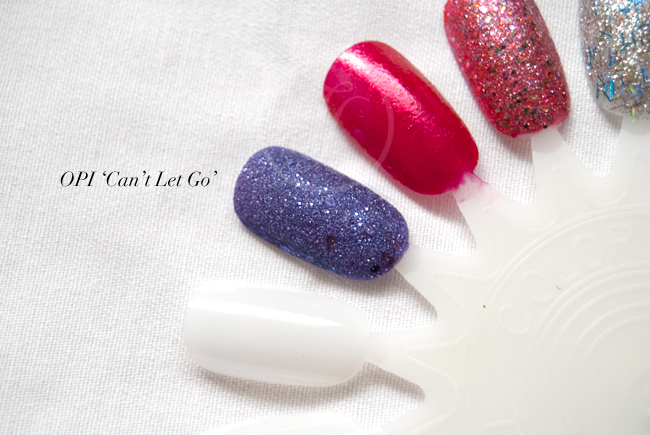 This time was no different even though I have been on a nail polish no-buy for a long time. To be honest, I have way too many polishes stored away and quite frankly, I will never get through all of it. Nevertheless, I chose 3 shades that I thought would be great for the upcoming season. I picked two bright creme pinks, because I have been on the hunt for the perfect shade of pink for my toes. Last spring/summer, I was all about bright corals and oranges, but this year I think I want to opt for a pink shade. As for Zuza, I just couldn't pass it up when I saw it. I'm a sucker for turquoise nail polish shades, and most of the ones I have are creme finishes. This one will be a great addition to my collection. Did you guys participate in the Zoya promotion? If you did, I would love to know what you guys got. Spring Shoes: Ankle Straps Obsession! As you can all read from the title, this post is all about the ankle strap trend that has been raging through a bunch of shoe designs. I personally have been obsessed with this trend since last year, and I think it just makes any shoe look so more pretty! Pretty much throw on an ankle strap, and I am sold! I am currently lusting over a few more pairs of ankle strap heels. 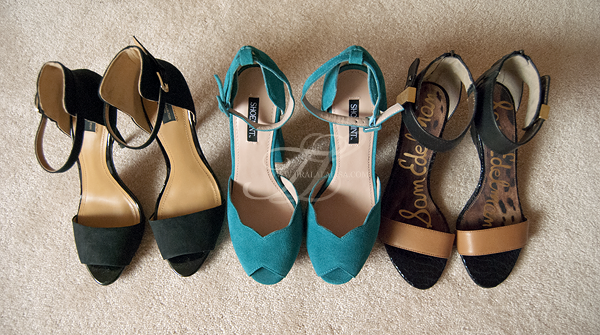 As you all can tell, I really like platform pumps and the strappy sandal style with the ankle straps. I am also always on the lookout for flat sandals now because I know in the summer I will be doing a lot of walking during my travels. However, I am super picky about those and I just don't think thong sandals look good on my feet, but I digress. I am very tempted to purchase the first pair of Steve Maddens for my Vegas trip this upcoming June! The first pair from Zara is to die for! I love them so much. If any of you follow fashion bloggers, these have been seen everywhere! They also come in 3 other color blocked shades on the Zara website. If money grew on trees I would have definitely purchased them too, but I wanted them to be timeless so I opted for the black. I swear they make your legs look amazing! The second pair is from ShoeMint, and it is a bright fun teal color. I don't have any fun colored shoes just because I usually opt for neutrals. I just feel like with neutrals you get more of your money's worth because you can wear them with everything. However, I really loved the color on these, and they looked perfect for the warmer weather, so I decided to pull the plug and purchase them. I think these will look great with a nice summer dress! Last but not least are these beautiful Sam Edelman sandals. I love these because they kind of remind me of the Zara heels. They have a modest 2 inch wedge in the back so they still give you a bit of a lift without being overbearing. I adore the gold detailing on the ankle strap, and they just literally look good with a lot of things. Even my mom, who thinks my shoe taste is a little bit too much for her, wanted to borrow them when she saw them. Overall, I am super happy about my purchases, and I can't wait to sport these for the upcoming season! I know ankle straps aren't for everyone because for some they cut off the leg line, but for me, I think as long as you find a right style, anyone can sport it! What do you all think about ankle straps? And here goes to another year over! 2011 went by super fast, and well quite frankly I haven't done much to this blog this year at all besides give it a face lift. I think I have lost the spark in my motivation to keep up this blog, but I don't have the heart to let it go either. Sometimes I feel like beauty blogging is just not the way it use to be. I hope I will find some way to relight my passion that started this blog in the first place in the upcoming year. For now this blog will remain, and I will still blog when I find the time to. Who knows what the future has in store! Let's start with skincare. This year has been not so great for my skin, and I have had many problems with breakouts and scarring. Midway through the year, I changed my skincare entirely, and I couldn't be happier now because my skin has improved so much. DDF Blemish Foaming Cleanser - For most of 2010－2011 I went through a phase where I had some serious breakouts on my chin area. It really stressed me out and for the longest time I could not find anything that would calm my skin down. This was one of the first products that started helping me salvage my skin. I had gotten a deluxe sample from Sephora awhile back, and I had it in storage for the longest time. On a whim when I was cleaning out my skincare products, I found the sample and decided to start using it. Immediately after a week of using it, I noticed that the acne on my chin was subsiding. I used it for a couple of months, and my skin is much better now. It contains 1.8% salicylic acid, so it can be a bit drying for some but it totally works wonders for me! Although now I have stopped using it daily, this is still my go-to product for when I break out during that time of the month! Clinique Clarifying Lotion 3 - This toner picks up dirt like no other but also stings like no other! I started using this also because of a deluxe sample I had gotten from Sephora. At first, this toner stung my face so bad, and I seriously considered to just stop using it because it was seriously painful....but I pushed through it! Now, it doesn't sting my face at all. I am not sure if it is because I am use to it now or it is because my face just isn't so irritated anymore. Either way, I actually quite love this toner, and after my sample I went out and purchased the full size (which btw, is half gone now!). I use it at night after I cleanse my face and it picks up every little bit of dirt left off my face. I think this has definitely helped make sure there isn't any dirt and oil clogging my pores. Lancôme Genifique Youth Activating Concentrate - This has got to be the most expensive thing I purchased ever in terms of skincare. I have heard so much about this serum, and when Sephora had a sample of it for 100 points, I went ahead a redeemed one. I was hesitant to even try it just because it was so expensive but I am so glad I did. This has changed my skin! It has helped blemishes and scars heal so much faster, and the texture of my skin has become so much smoother. It has improved the tone of skin and it just looks more radiant overall. This is definitely a must have if you don't mind the steep price. Mario Badescu Drying Lotion - This is an awesome spot treatment! When school started this past September, I was, as usual, breaking out due to stress. I saw this at Ulta, and decided to pick it up because a lot of people said it was good. Low and behold, this stuff zaps zits like magic. It dries up pimples (even cystic ones) in half the time it takes for them to heal on their own. I have gone through almost all of my first bottle, and I have one stored away as a backup already. 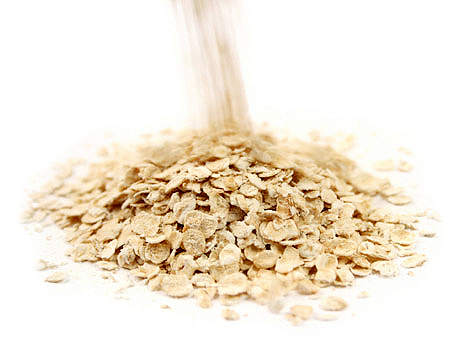 Along with my skincare products, I have been in love with washing my face with oatmeal. I first saw this on Bubbi's youtube channel (click for the video). It's cheap and effective and all natural! I usually do it once in the morning and sometimes once at night. It has helped tremendously with my acne and the texture of my skin. Although it does get a little messy, and it is probably best if you have a drain stopper to stop all the oats from going down the drain, it is definitely worth it. Makeup Forever Duo Mat (#120) - This was the first powder foundation I have ever used. I have always stayed away from powder just because I thought it would be too cakey for my skin. However, during Sephora's F&F sale I decided it wouldn't hurt to try since I can always return it. Well, I ended up not returning it because I absolutely love it! It's so quick and easy, and it definitely doesn't take any time away from my rushed mornings before I go off to class. Coverage is excellent, and it doesn't feel like a mask on my face. It actually feels more comfortable than liquid foundation to me. I love how the powder is so finely milled and I just can't say enough good things about it. This is definitely a HG product for me now. NYC Smooth Skin Bronzing Face Powder (#720 Sunny) - To be honest, I have never been the bronzer type of girl. I just find that they never quite fit my skin tone and it's an extra step I don't feel makes a difference. Discovering this has definitely changed my mind though. I bought this on a whim, and at such an afforable price I couldn't ask for more. It just warms up my face and gives me such a nice healthy glow. Definitely a must try! Lioele Artist Auto Eyebrow (#3 Gray Black) - My go-to brow pencil. Since I reverted back to my natural hair color, my old eyebrow pencils and powders don't match anymore. It just looks very unnatural in my opinion when I have black hair and brownish eyebrows. Lioele's gray black shade is perfect for those with black hair. It's not too dark or light. It just looks natural, which I love. Revlon Lip Butters - Everyone and their grandma has these and many have raved about them. I am one of those who love them so I am not going to say much because I know everyone has heard about enough them. All I have to say is that I love these for the price. They remind me a lot of the Dior Addict Lipsticks which are 3x the price. If you haven't tried them, definitely try to pick one up if you see them at your local drugstore. There are 20 shades so you are bound to find one you like! Sigma Beauty SigMAX Brushes - These brushes are amazing! I have all of them except for the tapered face brush since I brought the face set and the precision kit separately. All three of the Sigmax face brushes that I have applies foundation and any liquid products like a dream. As for the precision kit brushes, I love using them for concealer and creme bases for my eyeshadow. I can't imagine not having these now. Panasonic Heated Eyelash Curler - This is a must for stick straight asian lashes. My lashes usually don't stay very curled no matter what mascara I have used, whether it be American or Japanese. However, if I curl them with this after I put on mascara my lashes are actually visible and curled. Definitely makes a huge difference on my lashes. Essential Nuance Airy Hair Mask - Ever since I dyed my hair a couple of years ago it has not been as healthy as it used to be. Even though I eventually grew it all out and cut it off, my natural hair didn't have the shine that it did before. I tried quite a few hair serums, but it was always just a temporary fix which was not satisfying at all. This hair mask, however, has made all the difference upon the first use. It has made my hair silky smooth, and it has restored the shine and luster to my hair that was missing before. I usually use this once a week. Essential Nuance Air Hair Treatment - Along with the hair mask, I also use this whenever I feel like my hair needs a boost but it hasn't been a full week after my hair mask. This one a bit a lighter, but does the job just as well as the hair mask! Both are super affordable, and if you are able to get your hands on either treatments, it will be the best thing that has happened to your hair! Well that about wraps it up. I hope you all enjoyed reading this ridiculously long post. Props to whoever made it to the end! Thank you to all of you are are still sticking around. I hope everyone has a great new year with friends and family, and may the upcoming year bring lots of love and joy! xoxo ~ Talk to you all in 2012! 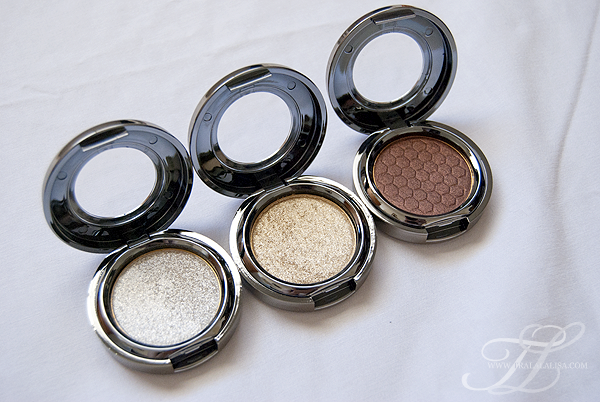 I actually follow a few Korean beauty bloggers in Korea and one of my favorites always used Ameli eyeshadows. They looked so gorgeous; however, back when I first saw her use them, I searched around and there wasn't any way to get them in the states at all. I was pretty bummed about that, but I was still always on the look out. So after seeing them on Vanity Box, I was so tempted to place an order. I didn't at first though, and I forgot the reason why, but a long time past before I came across them again. I eventually forgot about it until I recently saw their site in another youtube video. This time around I did not hesitate to place an order. To start off, these were the two necklaces that I got. Both are sterling silver, and I have to say I absolutely adore them. I've been wearing them non-stop since I got them. I have been really into petite looking jewelry because I think it just exudes this sort of elegance and sophistication when worn. 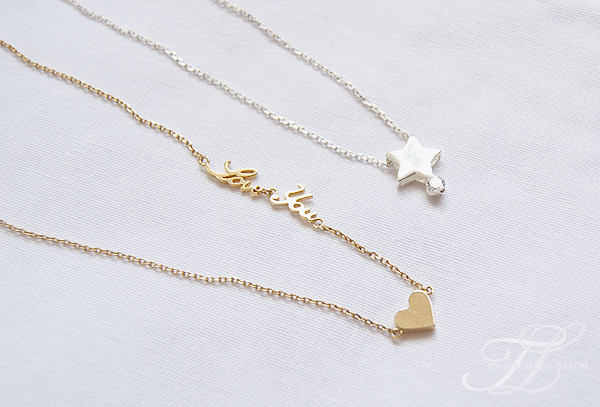 My favorite of the two is definitely the Love You necklace. It also comes in silver and I am very tempted to get the silver one too. Definitely give their jewelry section a look because they have the cutest and most elegant jewelry! 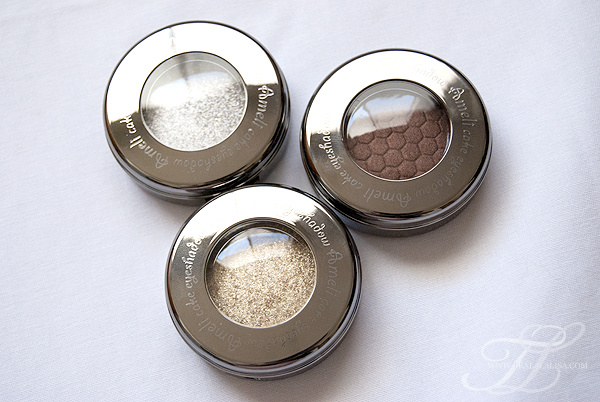 For the 3 Ameli eyeshadows that I got, 2 are from the Sparkle Spot line and 1 is from the Sweet Diamond line. Vanity Box also carries eyeshadows from their Step Basic line that I believe are matte eyeshadows; however, I didn't get any from that line because I love my sparkle more. 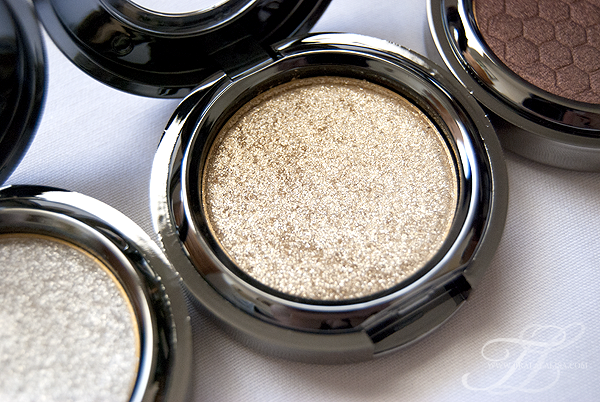 From left to right: #502 Platinum (Sparkle Spot), #501 Champagne (Sparkle Spot), #125 Luxury Brown (Sweet Diamond). 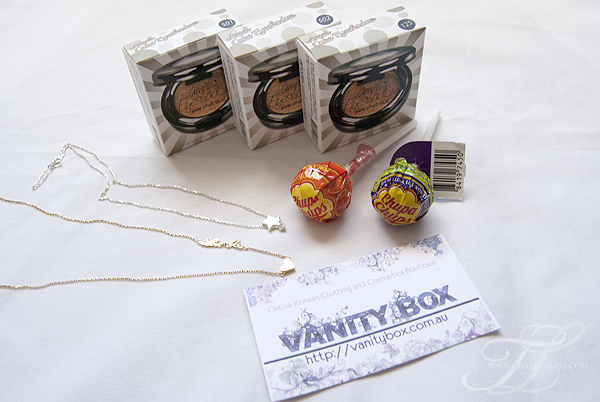 Sparkle Spot e/s are $19.50 AUD and Sweet Diamond e/s are $15.60 AUD. Aren't they just gorgeous in the pan?! I love them. I do have swatches of them but I am planning to put those up when I do a review post on the Ameli eyeshadows themselves so look out for that. I just love staring at them because the texture looks so intriguing from some reason. Art, Fashion, Food, Beauty Enthusiast. This site is licensed under a Creative Commons Attribution-NonCommercial-NoDerivs 3.0 United States License. © 2013 Tralalalisa. All Rights Reserved. Powered by Blogger.